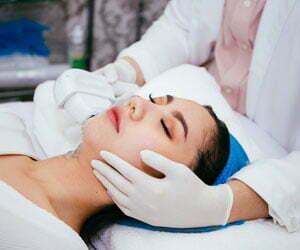 If you want to preserve a glowing, soft complexion beyond your youth, the latest innovations in wrinkle fillers are a great next level treatment to consider. 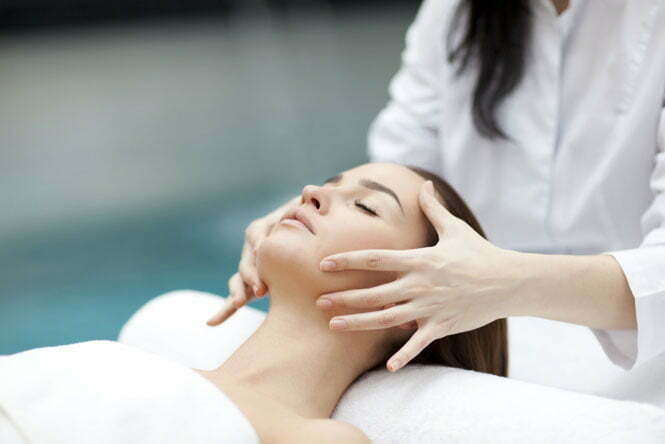 In addition to plumping the skin, these treatments can nourish, replenish and support the density of skin, imparting a mega watt glow that is almost impossible to achieve with topical skin care. Yes, it can be expensive and it’s not for the squemish as ultimately it’s a cosmetic procedure involving needles and below the surface administration of product, but the results are incredible and work beautifully with good skin care. We road tested Redensity 1, a product created by leading Swiss cosmetic medical giant Teosyal and spoke to Dr Jeremy Cumpston of Ageless Clinics, who is also an award winning Cosmetic Physician with this and other anti-ageing procedures. Dr Jeremy Cumpston: So Redensity 1 launched about 12 months ago internationally. It’s also known as The Beauty Booster. It’s used in conjunction with a v2 gun which delivers an exact dose of Redensity 1 at an exact depth. Redensity 1 is an uncrosslinked Hyaluronic acid ( filler) which means it’s essentially a water drawing sugar molecule mixed in with other essential amino acids, skin brightening agents and antioxidants. RESCU: Can you explain the difference between uncrosslinked and crosslinked fillers that we have known more about and some people may be a little averse to trying? Dr Jeremy Cumpston: So given it’s an uncrosslinked filler, it is the current best option for hydrating the skin. Crosslinked Filler is heavier and stronger and is used to create projection and volume where you’ve lost muscle, bone or fat tissue. But used to close to the skin surface, cross linked filler can be seen and looks ‘odd’ and Cross linked Filler has not been able to hydrate the last 1-2mm of the skin and age is really seen in those last 1-2mm. So this new uncrosslinked filler, is revolutionary in its ability to hydrate the last 1-2mm of the skin and lighten and brighten it at the same time…this is the icing on the cake of anti-ageing treatments. RESCU: Is it an all over booster or do you spot treat with this? Dr Jeremy Cumpston: You can spot treat under the eyes, I tend to use it all over the face because it gives such a beautiful result. 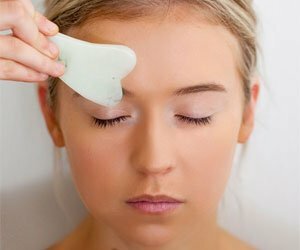 It literally lifts the skin. So whilst there’s downtime, there’s some input bruising, the result is so magnificent! Within hours you see it, but within 7 days when the filler has drawn the water, you get a really great result. RESCU: How long can you expect to see the results? Dr Jeremy Cumpston: Realistically given the amount of tiny hypodermic needles you’re going to get about 6-12 months worth of collagen but it will last anywhere from 3-6 months depending on how much you exercise and how much UV exposure you have. So if you don’t drink water and you go out in the sun all day of course it’s not going to last very long. If you look after your skin, keep it hydrated, use the right UV protection and drink a lot of water it’s going to last a lot longer. The collagen you make from needling lasts significantly longer and that draws more retention to the skin. RESCU: Is their any types of skin or people that shouldn’t have the needling? Like people with keloid scar or melasma? Dr Jeremy Cumpston: It’s fantastic for melasma because it literally just lightens the skin. I’ve been so surprised with people that have melasma or poikiloderma with how much it can lighten the skin, it’s wonderful for that. People with keloid scars is a bit more difficult, I think that given the fact the needles are so close to the skin’s surface the chance of having anything go seriously wrong is low, because remember it’s fractional. It’s a tiny needle and there’s only 9 of them going in at one time ( or stamp) Keloid usually only happens when you get so much damage to an area that scar formation happens. It doesn’t tend to happen on needle point. RESCU: If you have other fillers or injectables like Botox can you still have this treatment? Dr Jeremy Cumpston: Of course, this is that last thing. Think of the cake. The face is ageing and loosing muscle in the bone and fat. What these fillers do is slightly lift the cheekbone, and tighten the jawline, lift the face back. You might use cross linked fillers to project the cheeks at the front of the face or maybe use it to slightly lift and hydrate the lips, but with this new uncrosslinked filler we’re actually working on that last 1-2mm to give the skin a glow. So it’s called Skin Glow in other territories areas and this is apt because a week after treatment the skin actually glows. This is very new, previously crosslinked fillers couldn’t be put under the skin because you would see them. Where as this is not crosslinked so you can put it right under the skin and at most there will be a little bubble for a couple of hours that will then dissipate and draw water so you get that glow, it’s great. RESCU: So it could be a really perfect treatment for a bride to be or ahead of a special occasion? Dr Jeremy Cumpston: Absolutely! 7 days before. More importantly if you’re above the age of 30 and your starting to lose hydration in that last 1-2mm (and who isn’t in Australia) it’s the perfect treatment. 3 treatments in a year will get you where you want to go. If you have something special coming up it’s magnificent. RESCU: How does it work for men seeking anti-ageing treatments? Dr Jeremy Cumpston: There’s no one in the world that can’t use it. It’s fantastic. Which is another reason why winning the blue diamond award for most experienced Beauty Boost provider across Australia and the Pacific was such a timely honour!